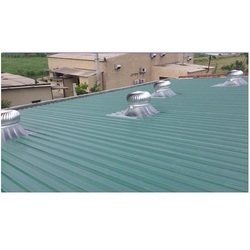 Our company is instrumental in offering premium quality Turbo Roof Ventilators to our valuable customers. Area To Be Ventilated: 500 SQ.FTS. We offer high quality of Air Ventilator Louvers. 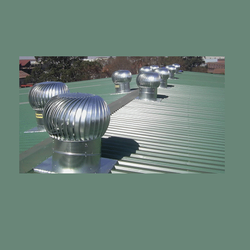 We supply the roof mounted turbo ventilators. it runs without motors, this is the reason it is called natural extractors also, as it rotates without any power and it has zero electricity consumption. No motor or panel is required for this. it is generally attached with frp based and is placed over the work shop roof. •: Theaters and Community halls.